“Update Options button” to save your choice. Relogin under user with role, for which you changed menu and see, that show goes on – it works, really. Attention! 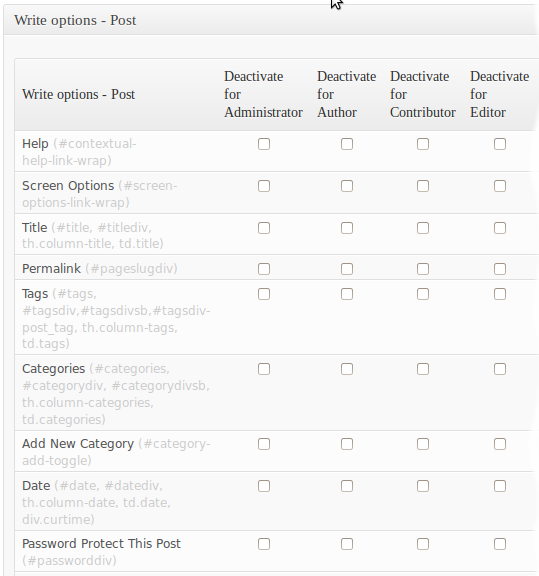 You should know that this menu change is visible update only for your and your blog users convenience. “Adminimize” just hides menu items from users. It does not block access to them. What does it mean? Even if user doesn’t see some menu item, like ‘Pages’, he still is capable to insert into browser needed link, e.g. 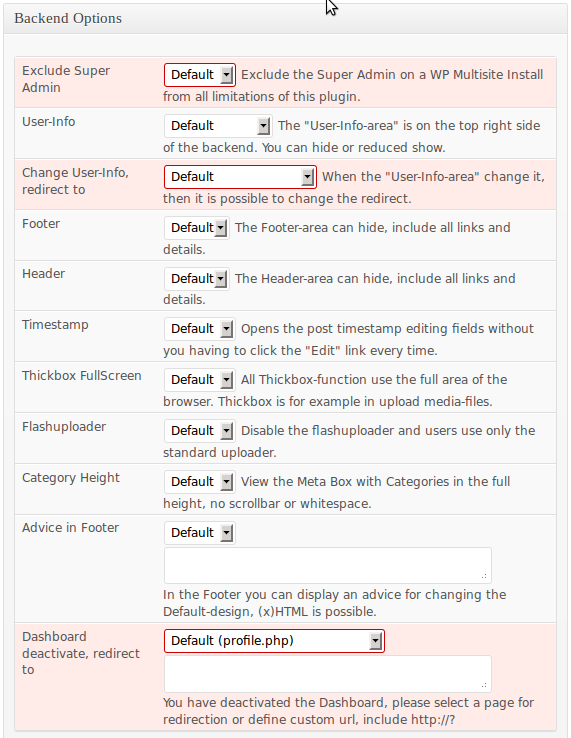 “yourblog.com/wp-admin/edit.php?post_type=page”, and get access to the hidden functionality. 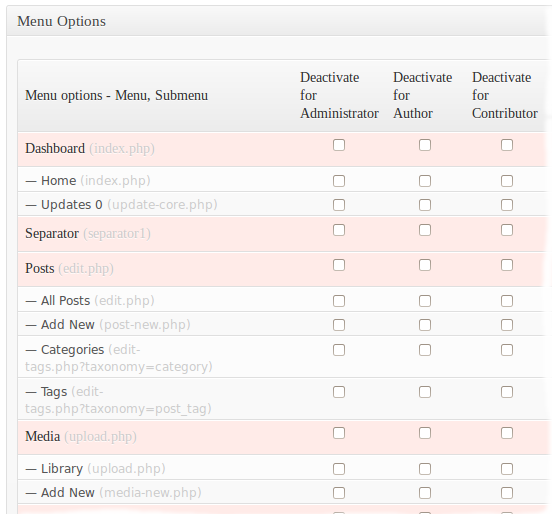 – WordPress admin menu permissions. It is possible to modify presentation of Links page with “Links options” section, WP Menu page with “WP Nav Menu options” section. 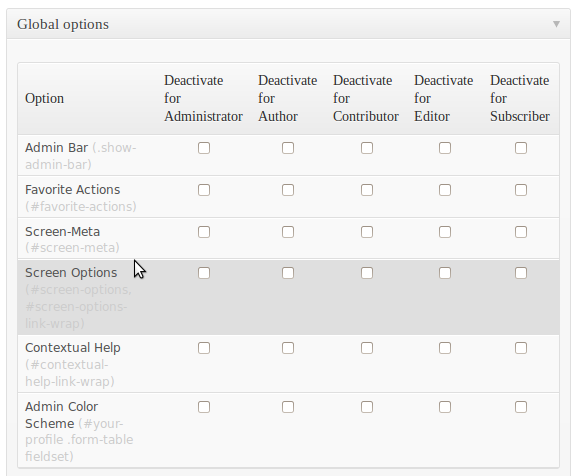 You can setup admin theme options for group of users at once with “Set Theme” section. And, finally, Adminimize plugin can export settings, you made for this plugin, to the file and import them later. 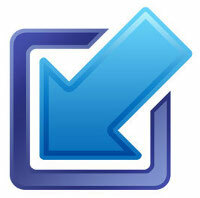 It’s useful to reproduce needed environment at other site or during site restore after some crash or accident. Keep a good work, Frank. Thank you. P.S. 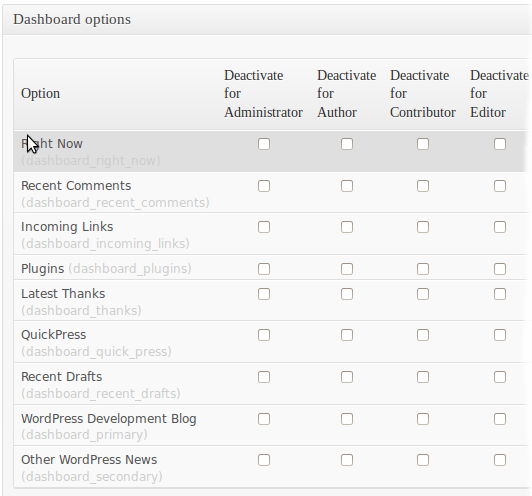 Review is done for version 1.7.27 of Adminimize WordPress plugin. This entry was posted on Sunday, July 1st, 2012 at 09:54	and is filed under WordPress. You can follow any responses to this entry through the RSS 2.0 feed. You can skip to the end and leave a response. Pinging is currently not allowed.